SKI OUT from this PANORAMIC LAKE/SKI VIEW townhome. Located on a ridge between Heavenly Valley's Boulder and Stagecoach Ski Lodges. Ski down to Boulder Lodge(1st run is free)ski back when snow is on the road. Remodeled throughout with pine and stone flooring, 2 river rock/lodgepole fireplaces, all new kitchen with granite countertops, new siding and windows. Living room, dining area, kitchen, 2 bedrooms & full bath upstairs. Master suite downstairs. Decks overlooking the lake & ski slope on both levels. Use of Summer pool & year round spa. Several Hiking/biking trails nearby, including the Tahoe Rim Trail. Approx. 5 miles from the shores of Lake Tahoe, The South Shore's 24 hour casino action, and Heavenly Village. Mini holidays we require a 3 night minimum stay. When including Christmas Eve a 5 night minimum. When including NY Eve a 7 night minimum stay. 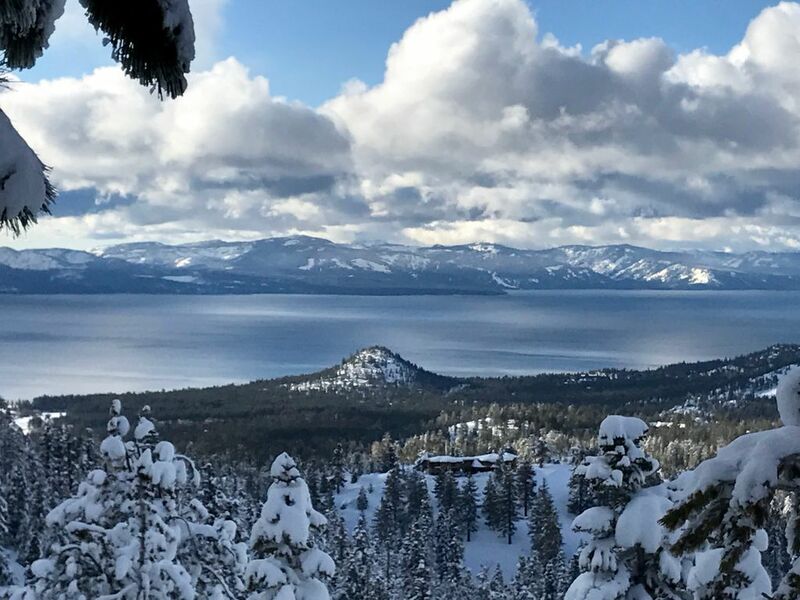 Live and work in Lake Tahoe, NV. for 40+ years and love all our resort area has to offer. Outdoor enthusiast including tennis, skiing, sailing, hiking, photography, kayaking, etc. A local real estate broker/investor/photographer. Love to travel to tropical, adventurous, and eco friendly locations. Have been vacation renting our properties for 25 + years and my wife and I are happy to host. Love the lake, mountain, & ski views. Previously lived in adjacent building for 10 years and never had to put my skis in the car. Nearby hiking/biking trails and good clean living! 2 Fireplaces, Two TVs, Lakeviews,lodgepole furnishings,lots of knotty pine,stone,and glass decor. Great place close to everything. Amazing views.